Apply a base coat and leave to dry for at least 30 minutes. 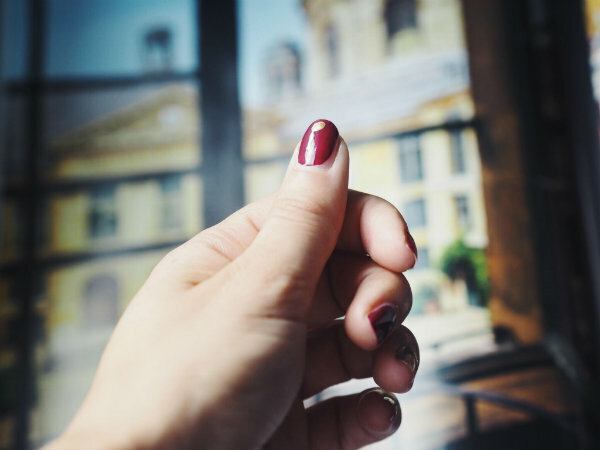 Then apply one or two coats of the dark polish, depending on how even the colour is, leaving an accent nail unpainted. 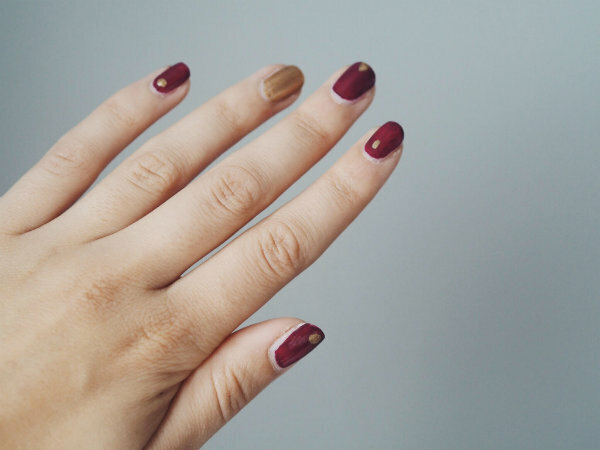 Apply the gold polish to the accent nail, if you are using glitter polish, it's better to paint a similar block shade underneath so it shows up better. Add any extra detail you would like and leave to dry before applying a topcoat. 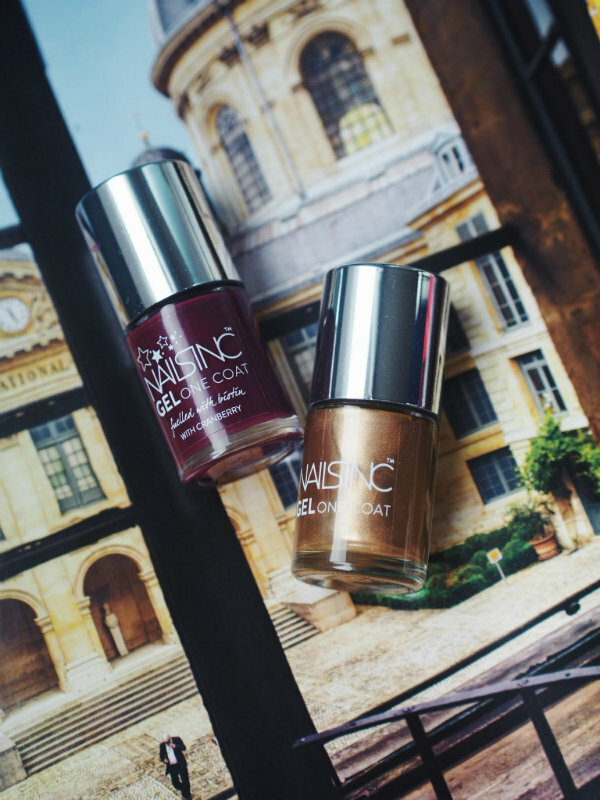 Which shade do you like using for autumn? Beautiful colors, I love both! Love both of these colors for fall! molto bella questa nail art!! colori perfetti per l'autunno!! Very cute, I love those colors. Gorgeous nails! I love burgundy! Such lovely manicure! The pictures are amazing! What a gorgeous color. Love it! 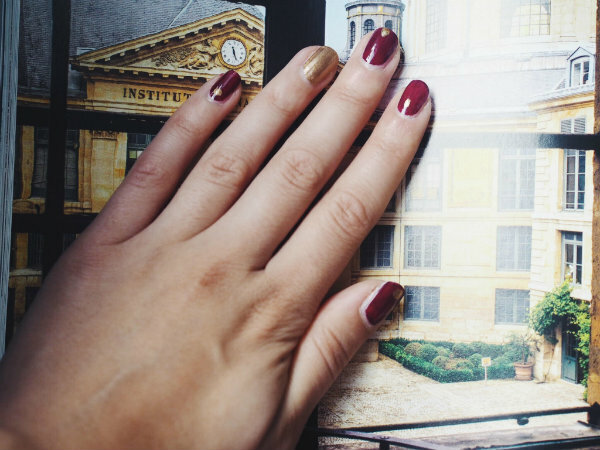 I don't think you can ever go wrong with burgundy, such a luxurious shade. Love that colour on your nails!